Originally uploaded onto YouTube on 16 May 2010, but currently going viral again, is a short wildlife video by Linda Ford from the USA that films in her own front yard the macabre scene of a subadult buck deer casually picking up a young bird off the ground with its teeth, chewing the helpless creature in its jaws, and then swallowing it, while the two parent birds flap desperately but impotently in the devouring deer's face. Click here to watch Linda's astonishing but genuine video on YouTube. The Inner Hebrides are a group of islands situated off the western coast of Scotland. 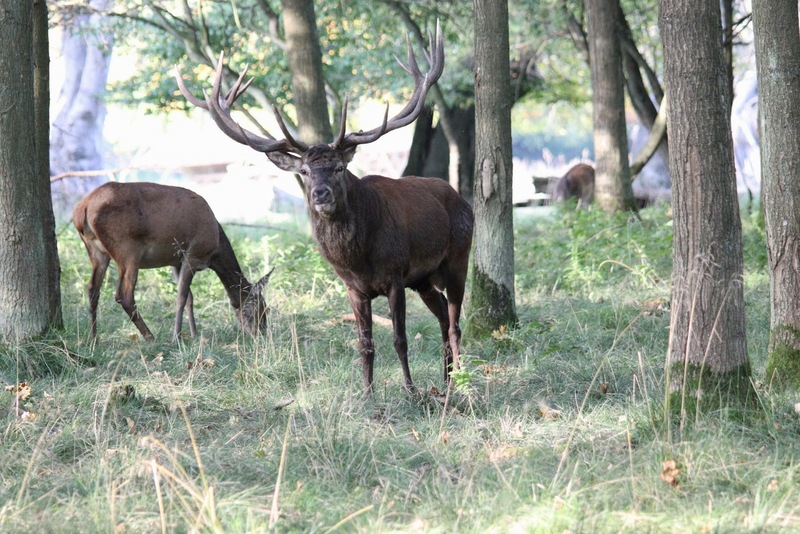 One of their southernmost members, Rhum, is home to more than 300 red deer Cervus elaphus. On small islands like this, the vegetation is often deficient in minerals - minerals that are required by large herbivorous animals. Faced with this situation, deer normally resort to chewing their own shed antlers, or even old bones, in order to obtain the missing substances, including calcium and phosphorus. But on an island like Rhum, which is also home to large colonies of ground-nesting seabirds, there is a much more sinister method available to the deer for sustaining a balanced diet. 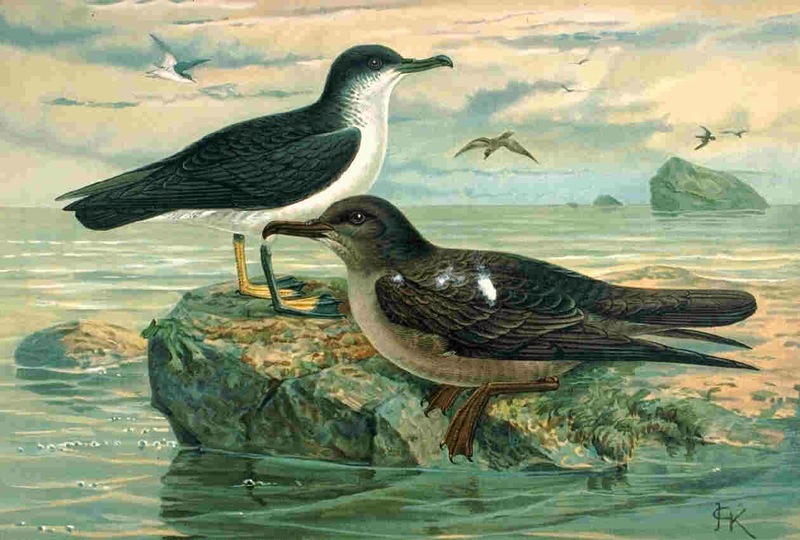 Quite simply, they decapitate the chicks of the seabirds, particularly those of an albatross-related species known as the Manx shearwater Puffinus puffinus - and thence obtain from the chicks' bones the minerals that they lack in their normal vegetarian diet. The researcher responsible for exposing this dark and previously unrealized secret in the history of Britain's largest and most noble species of native wild mammal is biologist Dr Robert Furness, from the University of Glasgow in Scotland. However, his deer disclosures, first formally documented in the Journal of Zoology (March 1988), were only the beginning. When he visited another group of Scottish islands, the Shetlands, he uncovered an even more amazing example of carnivores of the cryptic kind. During the 1990s, Furness has been studying a herd of primitive sheep on the small Shetland island of Foula, the most westerly member of this group. These animals are direct descendants of sheep introduced here long ago by the Vikings, and in order to obtain adequate supplies of minerals - notably phosphorus - present in insufficient quantities within Foula's sparse vegetation, the sheep have evolved a merciless modus operandi that closely parallels the grisly dietary deviation exhibited by the red deer of Rhum. 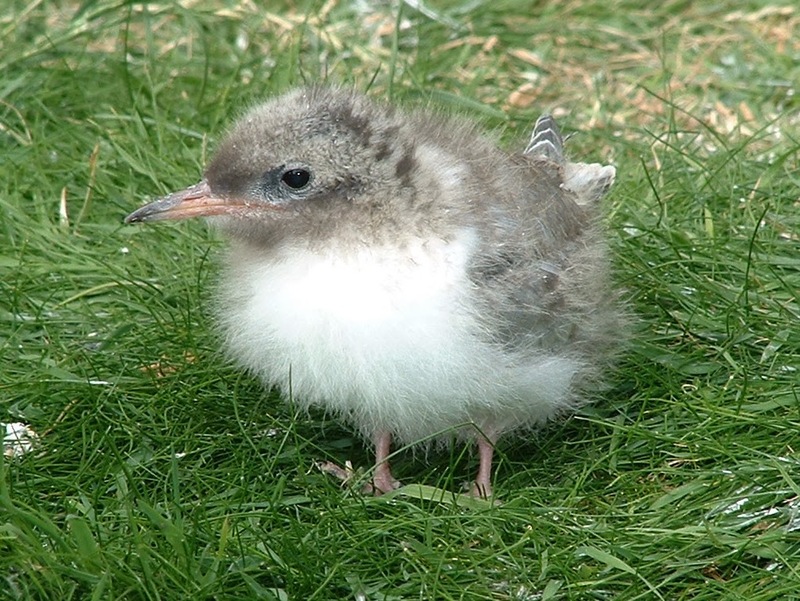 The Arctic tern Sterna paradisaea is an abundant seabird nesting on Foula - and the sheep prey upon their fledglings. Unlike the deer, however, they rarely amputate the heads of the young birds. 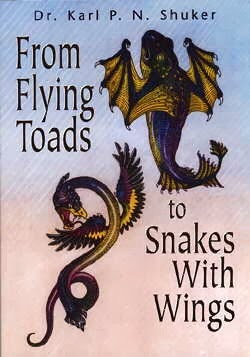 Instead, they prefer to bite off their victims' wings and legs, often leaving the helpless fledglings still alive but lethally crippled. The sheep then procure the required minerals by chewing the bones in the birds' severed limbs. As is so often true when investigating cases of anomalous animal behaviour, it transpired that the crofters who live on Foula have always known that this island's sheep were bird killers, but until the first-hand observations and studies by Furness vindicated them, their claims had been dismissed by science as nothing more than quaint folklore. Rather more mundane incidents, involving cattle and even hippopotamuses eating the bones of dead brethren to boost their dietary intake of minerals, have also been recorded over the years - but nothing, surely, can compare with the astounding, yet fully verified case of World War II's woman-eating elephant. This dramatic episode was revealed by internationally renowned zoovet Dr David Taylor. During the final years of World War II, Germany was suffering from severe food shortages, and its zoo animals could not always be given the balanced diets that they had customarily received in peacetime. However, a male elephant in Berlin Zoo apparently succeeded in solving its mineral deficiency problems, albeit in a singularly horrific manner. A lady called Bertha Walt, who worked at an office near to the zoo, made a habit of spending her lunchtime in the zoo and feeding the remains of her sandwiches to this elephant. One day, she learned upon her arrival at the elephant's enclosure that he was unwell. Saddened by her pachyderm friend's illness, Walt unhesitatingly volunteered to stay with him overnight, in order to nurse him and to provide reassuring company for him. Given permission to do this, she duly spent the evening inside the elephant's enclosure - but when the animal's keeper arrived the next morning to take over, his unbelieving eyes registered a terrible sight. Walt was still there - or, to be more precise, parts of her were still there. The rest of her had been devoured by the elephant! All of which assuredly gives a whole new depth of meaning to the popular old saying "All flesh is grass"
After reading my post today, retired zookeeper-manager David Pepper-Edwards informed me of a truly remarkable giraffe that displayed the decidedly grisly habit of stamping on sparrows and then eating them - not the kind of behaviour that one would normally associate with these typically gentle - and herbivorous - giants. Here are more details of this fascinating case, kindly made available to me by David for inclusion here - thanks, David! 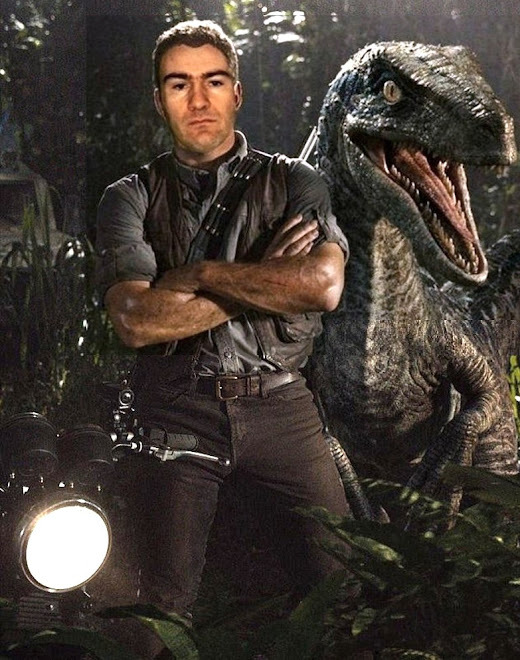 "I am now a retired Zookeeper/Manager. Used to work at Auckland Zoo New Zealand and at Taronga Park Zoo Sydney, Australia. The giraffe in question was a male named "John" at Auckland Zoo during the 1960/70s. The sparrows would fly in and eat the seed in the oaten hay used as bedding in his night house. He would actually sort of stalk them (first you have to imagine a giraffe trying to stalk!) and then with a quick stamp he would flatten them with one of his fore hooves. Then eat them. He was quite good at it. The sparrows on the other hand never caught onto it." Clearly, the phenomenon of carnivorous vegetarians in the ungulate world is more widespread than one might initially assume! On The Simpsons TV Show, an elephant has been depicted eating humans twice! The show is very smart, the former writers have Ph.D's in math btw, whom then went on to write Futurama. Very harsh winter here in Michigan. A mourning dove froze to death under my bird feeder. That night he lost his head to a rabbit, the only tracks left on fresh fallen snow. The following night the corpse was gone...only tracks of a white tail deer disturbed the snow. Homer told of flesh eating mares in his epic poems. Meat-eating horses, check out this excellent audio interview at Binnall of America. "Equestrian researcher and long rider CuChullaine O'Reilly discusses his groundbreaking book Deadly Equines: The Shocking True Story of Meat-Eating and Murderous Horses. Over the course of this two hour adventure, Tim discusses CuChullaine's powerful case for meat-eating horses, including historical accounts from ancient and contemporary times, the collective 'equestrian amnesia' that has befallen the 'civilized world,' and discuss murderous horses, a separate, but equally bizarre anomaly that CuChullaine has uncovered." Scroll down to the 11-11-11 interview in the archive section. During the 90s, I believe a team of biologists from the University of Alberta (or was it Calgary?) were doing a population survey of bats in southern Alberta but were stumped to find empty nets in the morning. They knew that bats were everywhere in the area, but could not catch them for the study. When they set up an infrared camera to monitor a site, what they discovered was totally unexpected. Foraging deer were routinely plucking off the live bats from the nets and eating them. The biologists figured that the deer were opportunists, feeding on protein whenever it became available. You had to show the ickle fluffy arctic tern, about to be dismembered by a carnivorous sheep. I suppose these discoveries shouldn't surprise us. Us animals are complex biological machines with many nutritional needs, and our bodies often tell us what we need, so we get bird eating ungulates, flesh eating giant pandas and pregnant women craving mud. Giant pandas are suposed to eat small animals from time to time. Even musk deer fawns (according to the researchers). They are almost strictly vegetarian, but they also eat meat as the other species of bears. I had two cows once upon a time. Plus tons of barn cats. One cat had just been hit in the cow paddock, decided to wait until I was done with the stalls to bury it. The two cows were around it, thought nothing of it. Came out an hour later. All that was left was white bones and fur. My horses made me wonder. I know they caught the cicadas when they swarmed. But we started keeping one pasture just for wintering, another for spring, and one for summer. When the horses weren't in the lower pasture, we'd have roadkill all through that pasture. When they were there....road kill was usually scarce. Never saw them munching, but it was too much of a coincidence. They had mineral blocks, got the good grain, good quality hay, obviously they were missing something.